No Naked Walls Gallery are delighted to be showing a major new collection of Richard Thorn’s paintings which celebrate rural England. Richards’ work is based on the stunning Devon and Cornwall landscapes and coastlines. The South West has a quality of light that is attractive to Richard. 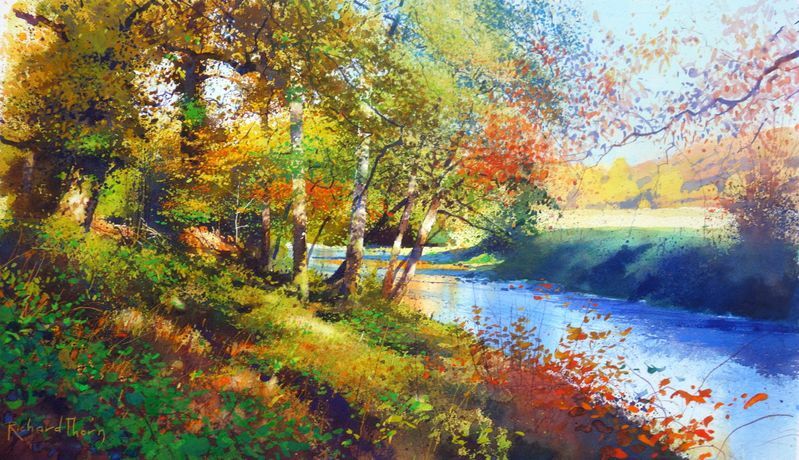 His works are greatly inspired by the changing seasons. Specifically, the effect of sunlight and his emotive responses. Richard aims to capture these qualities within his work. 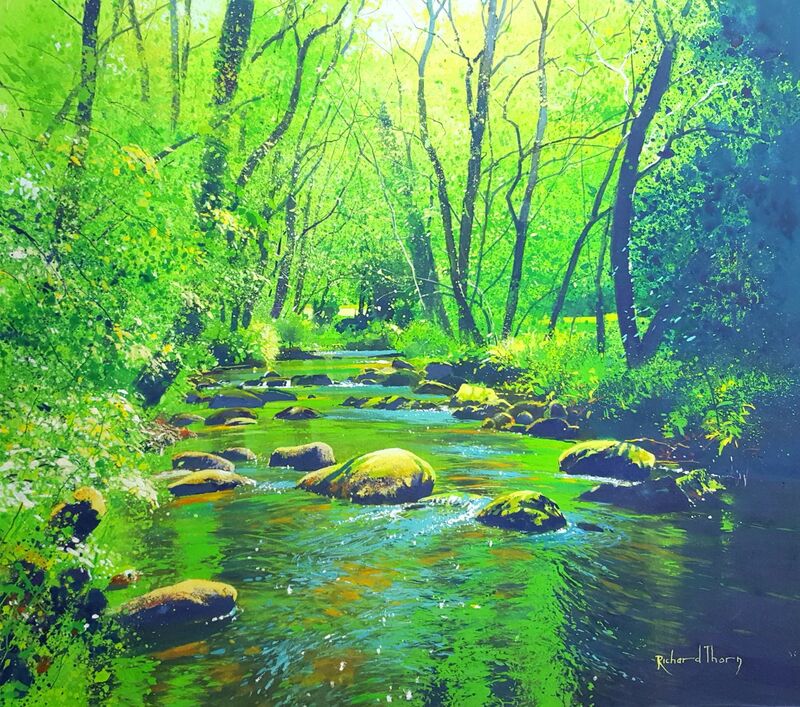 Richard is extremely well known for his fine skill in watercolour painting and in recent years has developed this to include acrylic, gouache and pastel. This development of medium has enabled Richard to experiment with colour and dynamism within this collection of paintings.